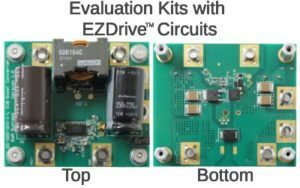 The GS-065 low current 3.5 A, 8A, and 11A evaluation kit with EZDriveTM circuit, which eliminates the need for a discrete driver. The kit provides a low-cost solution that offers more design flexibility, reduces the number of components, and is easy to implement. Half-bridge and bridgeless totem pole PFC reference designs utilizing uPI Semiconductor drivers and GaN Systems 100 V GaN E-HEMTs provide cost effective, higher efficiency solutions in applications such as 48 V (half-bridge) and compact 1U switch mode power supplies (BTP PFC) for the enterprise market. 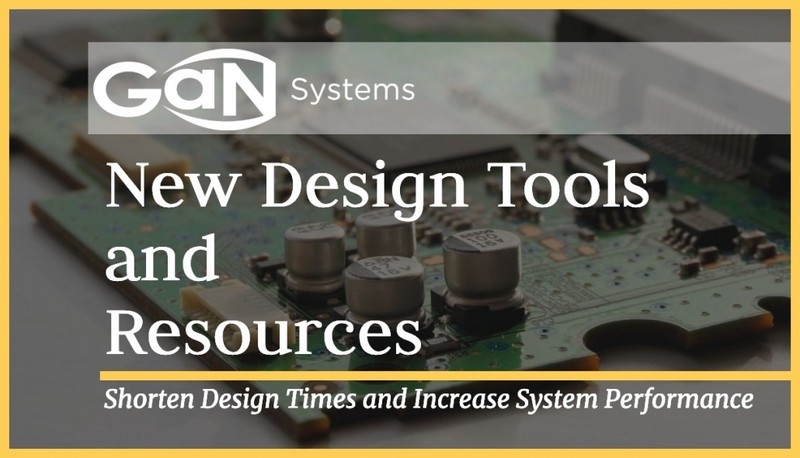 An advanced half-bridge design solution onboard GaN Systems’ evaluation board using the new 650 V GaN E-HEMTs for smaller consumer and enterprise power supply applications that reduces existing PCB footprints and bill of materials (BOM) costs. New high-performance Insulated Metal Substrate (IMS) half-bridge thermal mounting solution, which provides design flexibility and scalability with three power level configurations up to 1.5 kW (GS66504B), 3 kW (GS66508B), and 6 kW (GS66516B). The optimized driver board features the highest power density due to having the lowest system thermal resistance. The layout also allows for less assembly steps and lowers cost of materials. The full 1.5 kW Bridgeless Totem Pole PFC reference design using GaN Systems 650 V E-HEMTs featuring an EMI filter and surge protection that can be utilized in applications such as data center power supplies to increase efficiency, reduce systems size, and reduce system BOM cost. The evaluation board can also start up to full load condition. 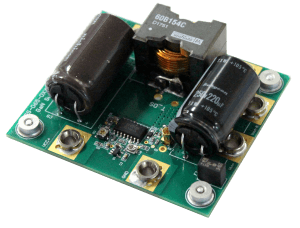 In a Half Bridge Daughter Card, a preview of new driver technology from a world-leading analog and mixed-signal IC manufacturer. These GaN drivers offer safety and protection features, fast loop response, and integrated chip functionality, which helps reduce component count. These solutions are suited for industrial and automotive markets and offer features not previously available with existing GaN Driver IC’s. Now available 50 W wireless power amplifier, a small size, low cost, and high-efficiency evaluation board ideal for wireless power transfer and charging applications. It is targeted for lower power applications in industrial and consumer markets. 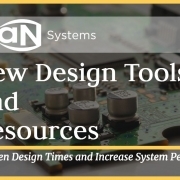 “The selection of reference designs, circuit simulation tools, and evaluation kits from GaN Systems and our ecosystem partners empower design engineers to take advantage of GaN benefits – high efficiency and low size, weight, and total system cost – to accelerate product time-to-market,” said Paul Wiener, Vice-President, Strategic Marketing for GaN Systems. For more information, please visit GaN Systems at APEC in Booth 553 or contact a local representative.